My apologies, although I do call everyone dude 'cause it's awesome. B) Haha great! Tag me when you do! That's cool with me, I don't even like the term 'dudette', just wanted to set the record straight. Alright. I admittedly got a bit distracted as I started playing Pokemon Snakewood a Ruby hack but here he is, shiny Squirtle! (My apologies that the image came out kinda bad) @Suicune's Fire. Fantastic! 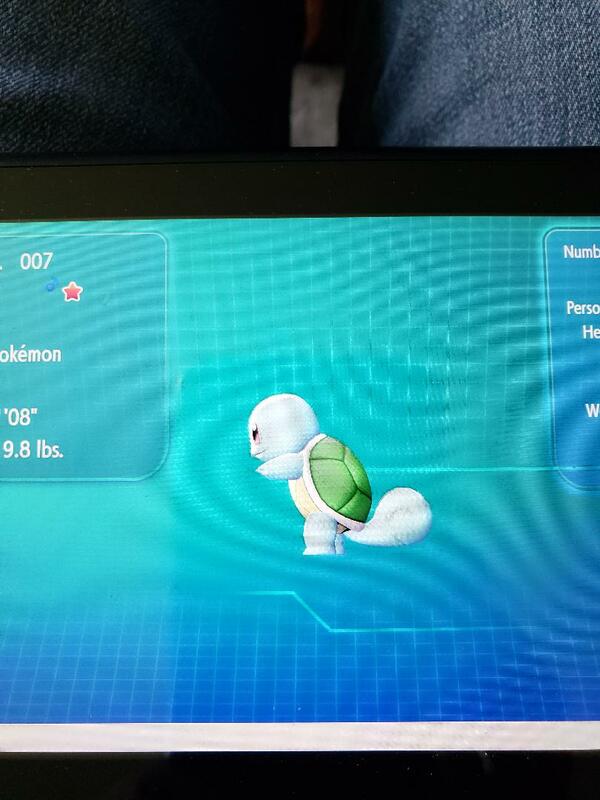 :D That's an awesome shiny squirtle you got right there. :3 All that hard work paid off! *v* But gosh, he's so rude that he didn't even face you for the photo! Lol, I actually turned him because the different colored shell is the only real distinction on a Squirtle.